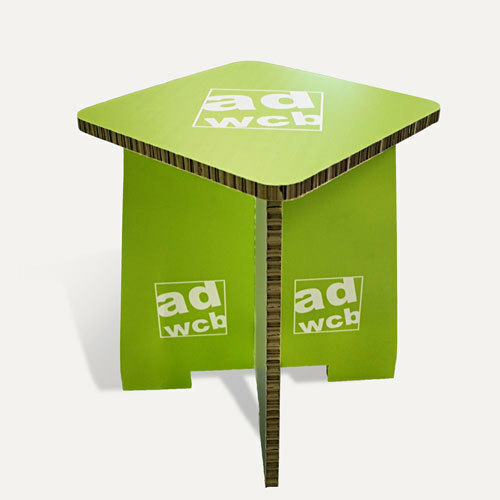 A remarkable furniture: printed with your individual graphic. 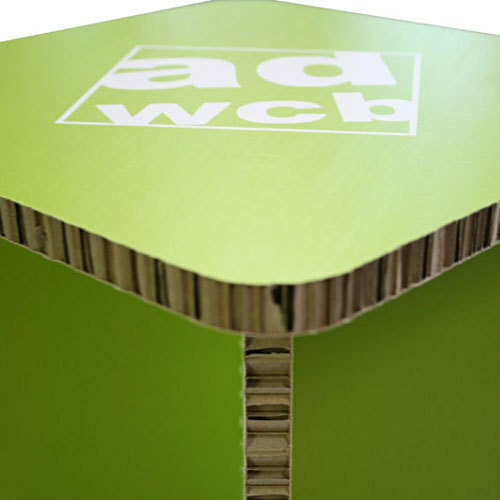 The cardboard stool consists of three components. Assembled in a few seconds, just put the parts together. No tools, no adherence, no screwing necessary. 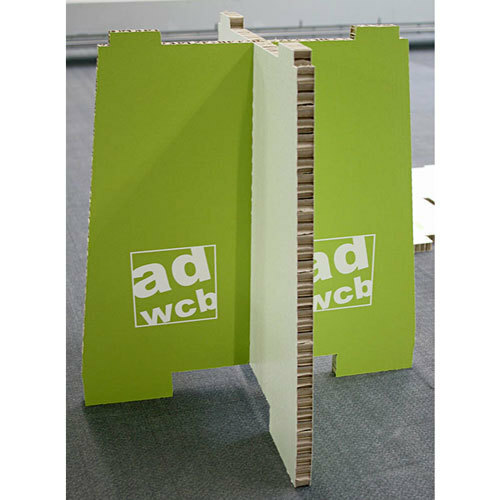 This simple construction makes the disassembly and transport very comfortable and easy. Even if the stool is light and handy, it is exceedingly stable. 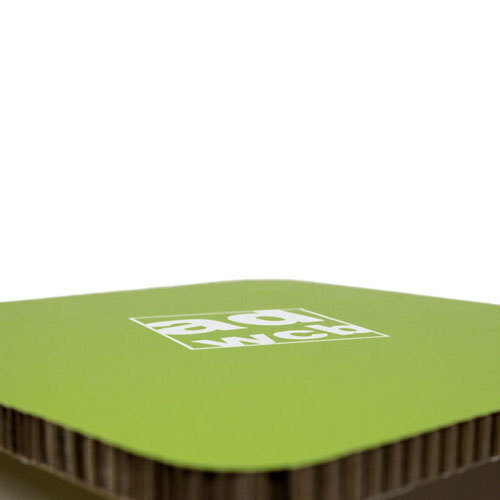 It can be used by children as well as by adults (up to 150 kg). The back sides of the stool legs can be printed too, which provides a harmonious impression. You can choose between keeping the natural look of the stool or upgrading to a noble white coloured edge band finish for a charge. 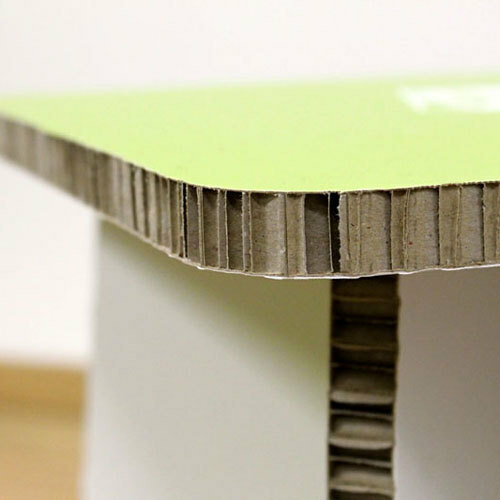 In its natural look, without edge bands, the cardboard stool is completely recyclable. available after placing the order.